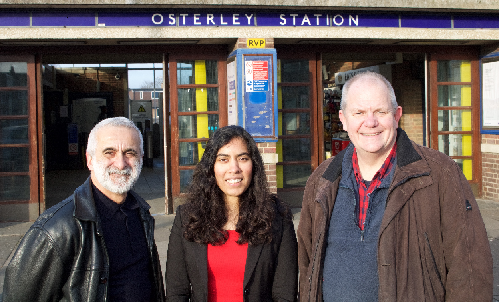 First raised with Hounslow Council’s busy Planning Enforcement Team early June 2016, I later found out that the common but prohibited practice of estate agents placing advertising on the Great West Road, Osterley Station subway railings was actually a matter for Transport for London. 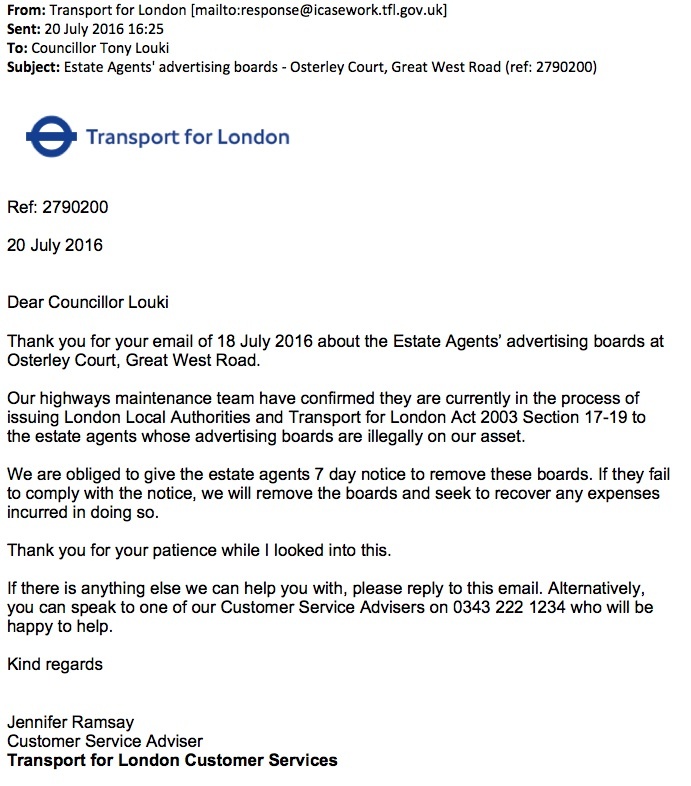 Following correspondence, heard from TfL yesterday that estate agents Thorgills, Dexters, Chase Buchanan and Anderson Knight will be written to and given seven days notice to remove these boards. Should they fail to comply, TfL will do it and seek to recover any expenses incurred. 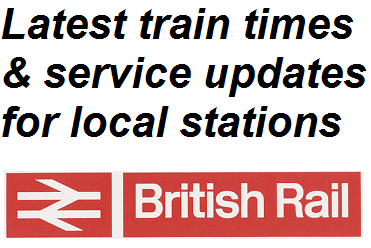 A copy of TfL’s communication can be found here. It’s not just flytips that rankle. Happy to follow up if problems not resolved.